Cruising through the cooler shelves at my local liquor store, I couldn’t help but notice a mad monk’s eyes staring back into my soul. With the bottle encouraging the drinker to make the beer an occasion, the cap reminds you to do as good old Grigori did and “never say die.” Having gotten all my Russian history fixes, it was down to drinking the stuff. The pour is black and foreboding, coupled with a head that is a darker amber than I’ve ever seen. With the first sip, my mouth became the setting of a modern-day Battle of Stalingrad. There is coffee and chocolate and molasses and orange peel and apple pie, all waging extremely pleasant combat on your palate. Each sip — and I recommend sipping it— brings a new facet of flavour I had yet to discover. All of this bitter, roasty, wintry goodness is cut through with a nine per cent alcohol by volume. The complexity of flavours in addition to the high ABV makes this beer closer in flavour to a liqueur than a lager. Simply put, it’s delicious. Most importantly, North Coast has got the carbonation factor right here as well. Many stouts or porters, especially those from small breweries, can suffer from flat-beer-itis out of the bottle. This lack of bubbles doesn’t flood the palate with aerated flavour in quite the same way, and turn lesser beers into syrupy messes instead of delicious dark beer. 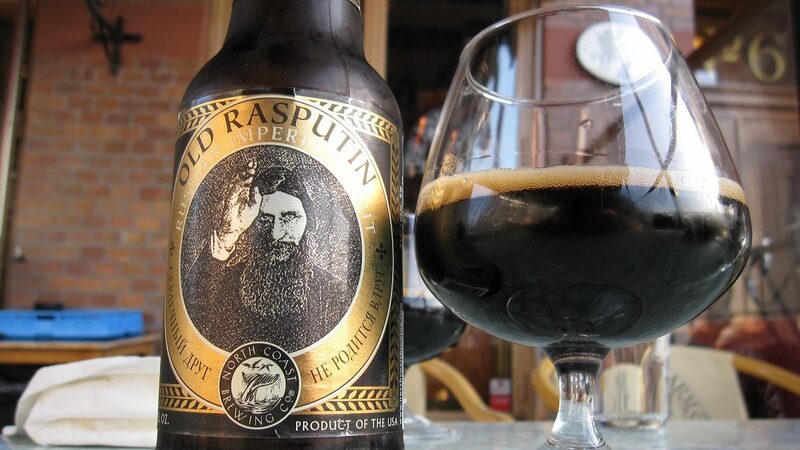 After happening upon it on the cooler shelves, I can say without a doubt that Old Rasputin is my favourite stout. Is it an investment? Yes. Worth it? Absolutely. But in the end, what doesn’t kill you makes you… a stronger beer.